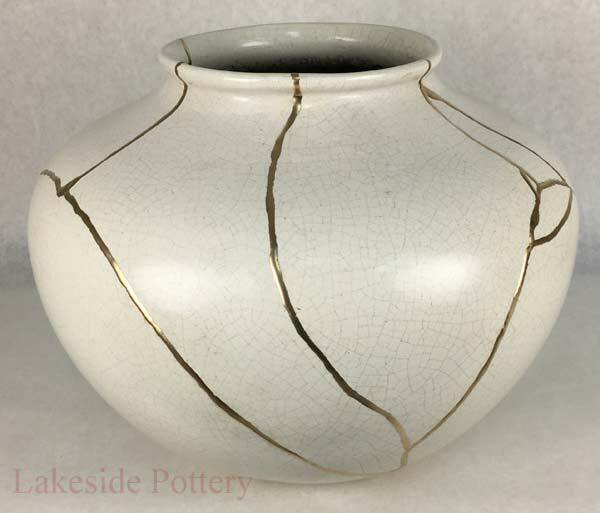 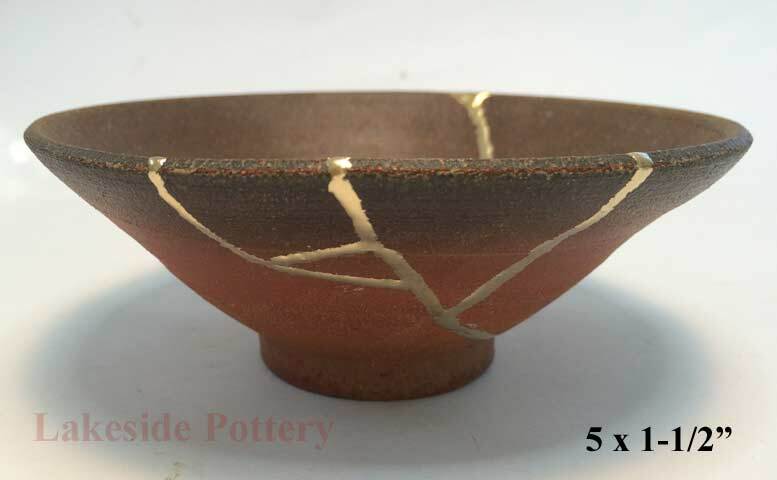 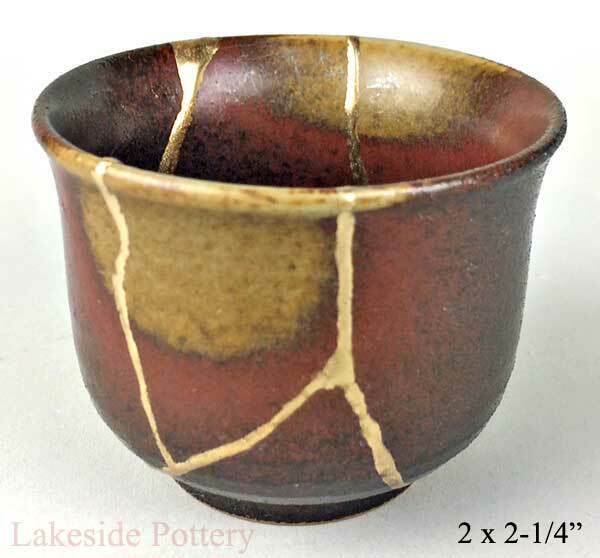 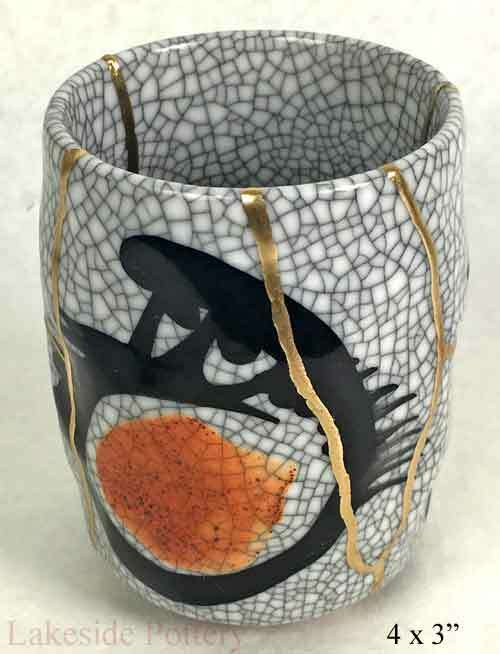 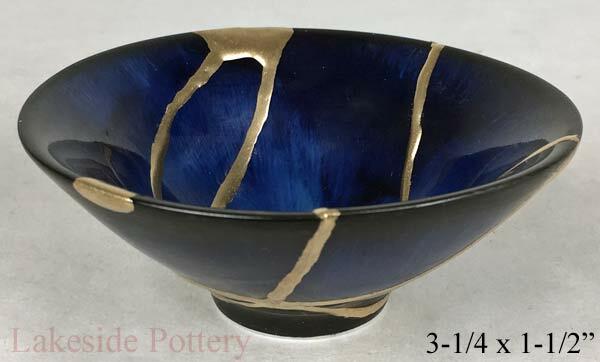 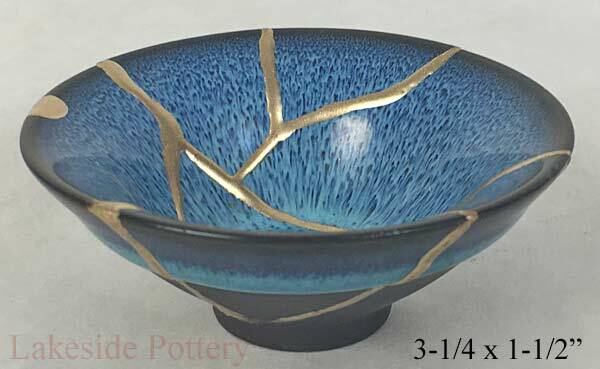 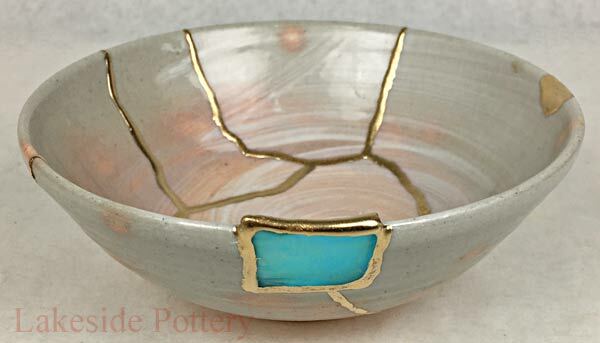 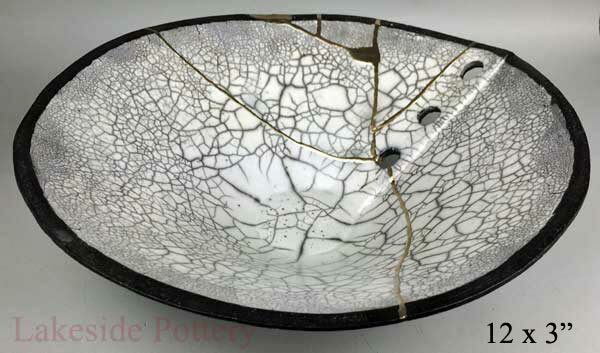 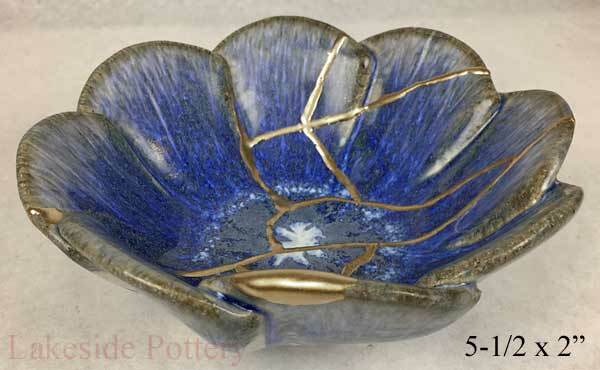 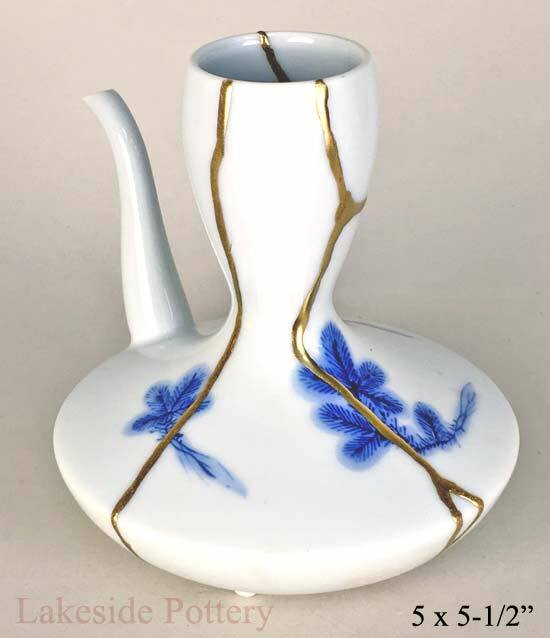 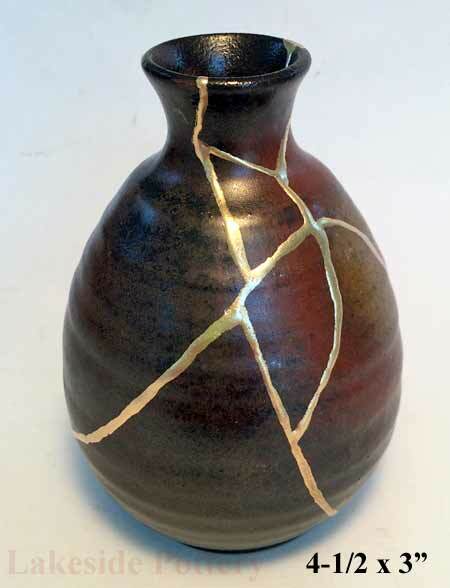 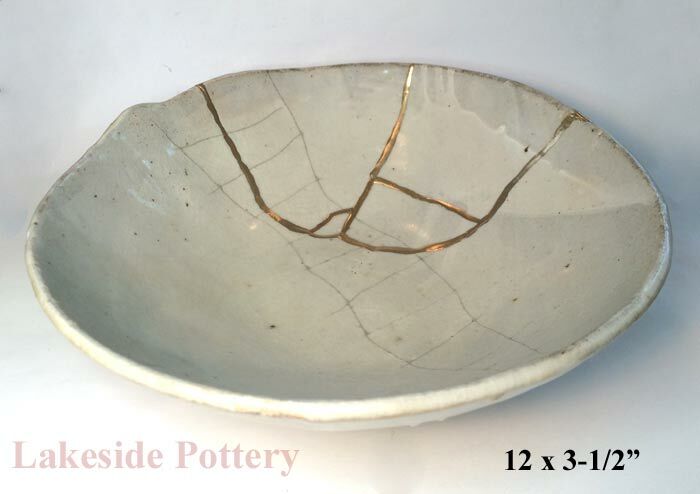 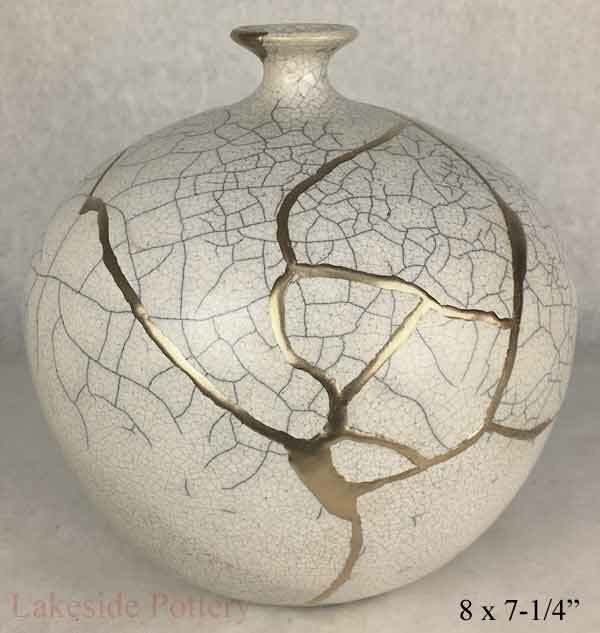 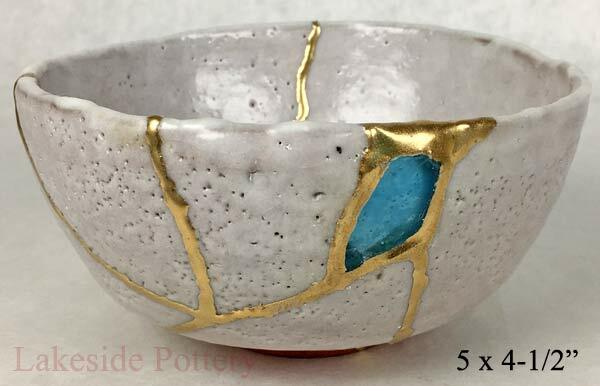 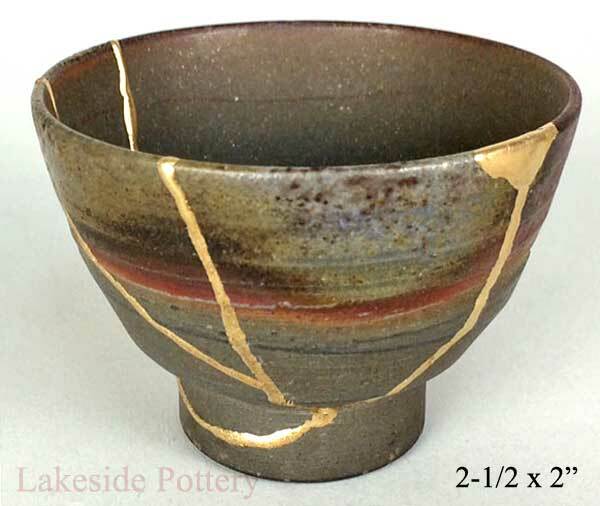 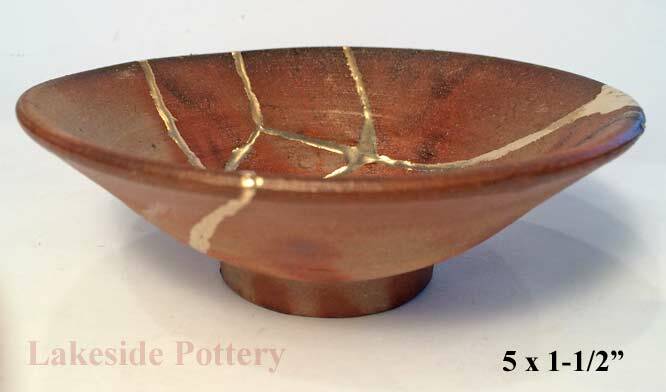 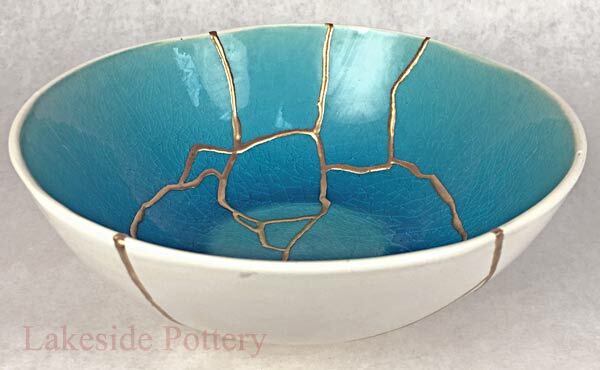 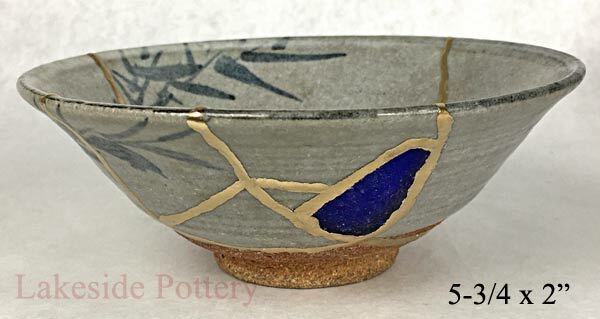 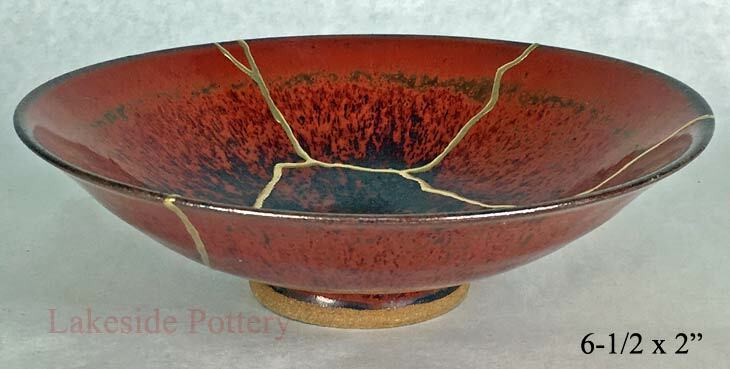 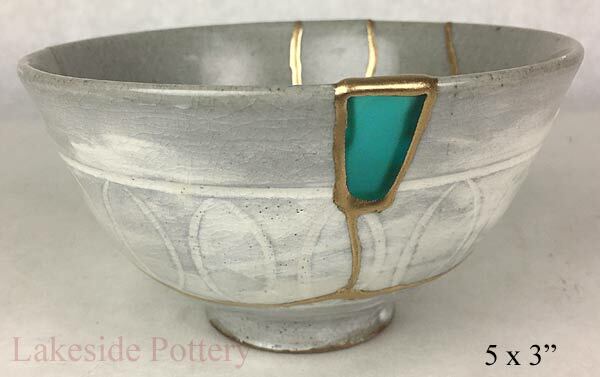 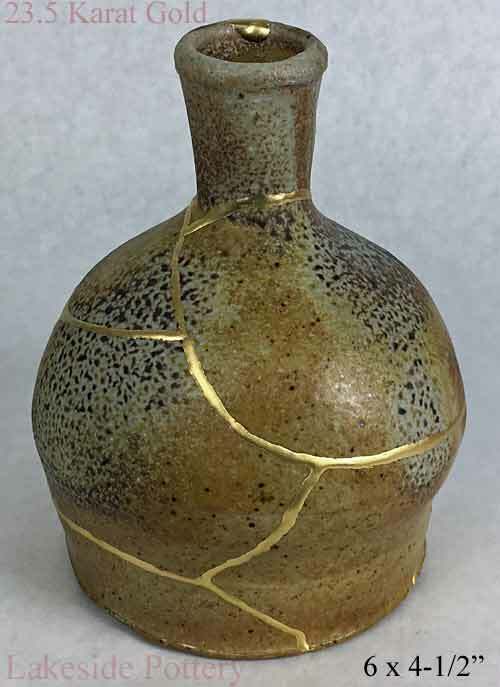 Broken ceramics repair using Kintsugi method is to give a new of life to pottery that becomes even more beautiful thanks to its repaired scars. 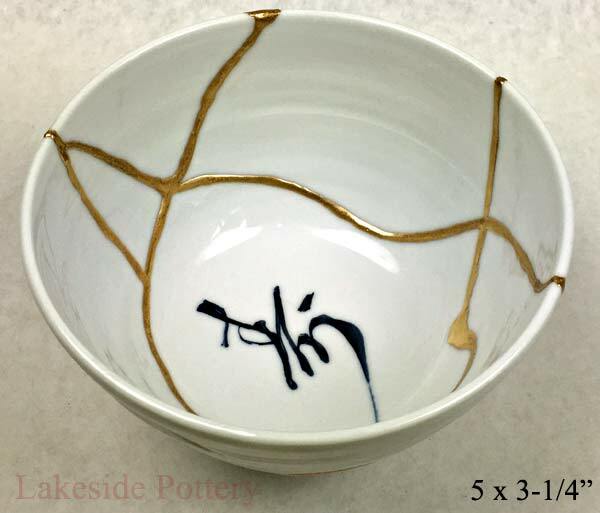 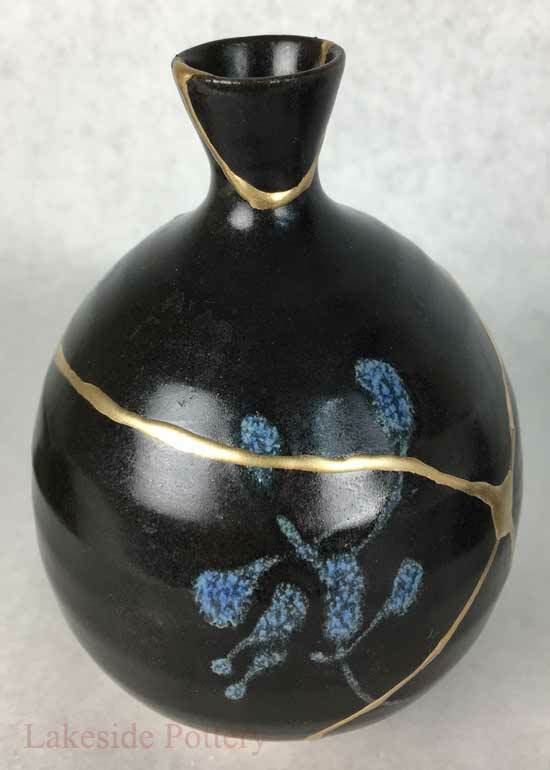 This artistic process of kintsugi art, Japanese in origin, teaches us that broken pottery is something not to dispose but to display with joy. 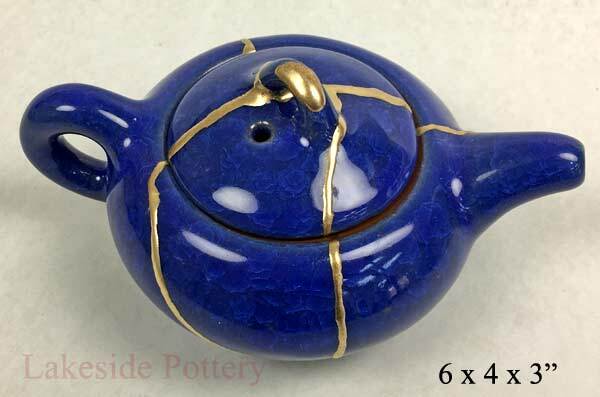 When a vase, teapot, or a bowl breaks into pieces, we typically throw the pottery away regretfully and upset that it broke. 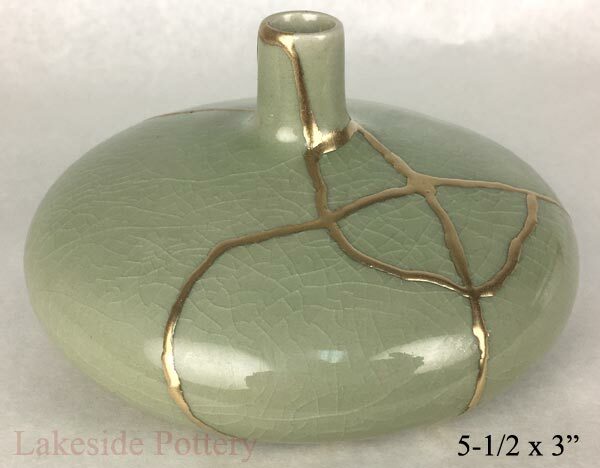 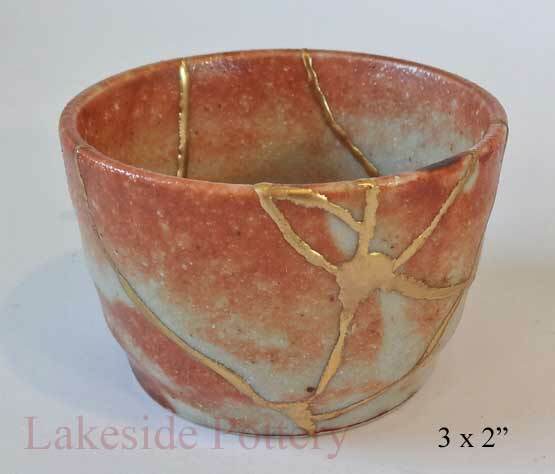 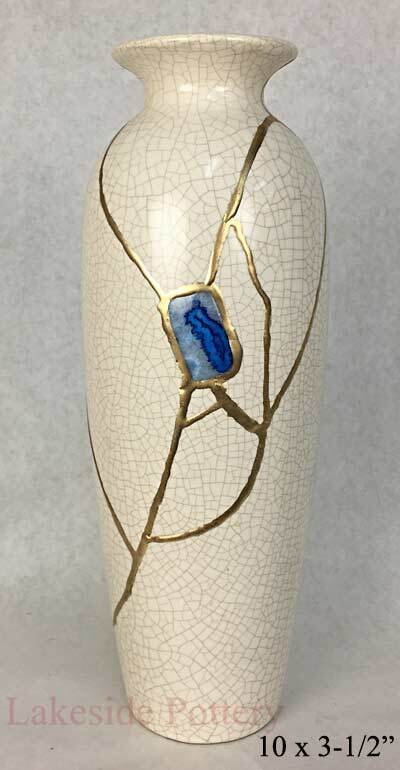 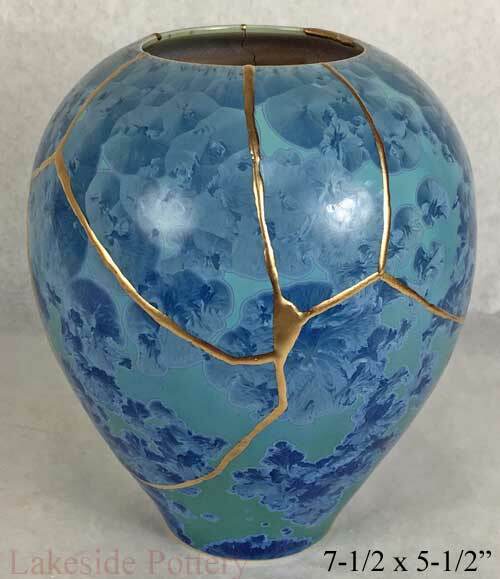 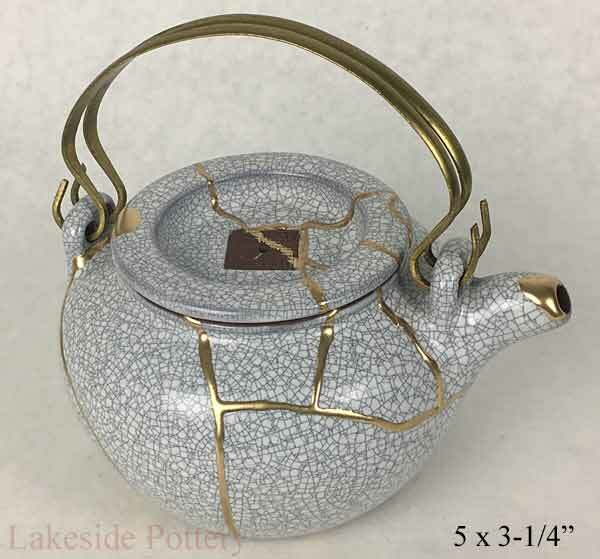 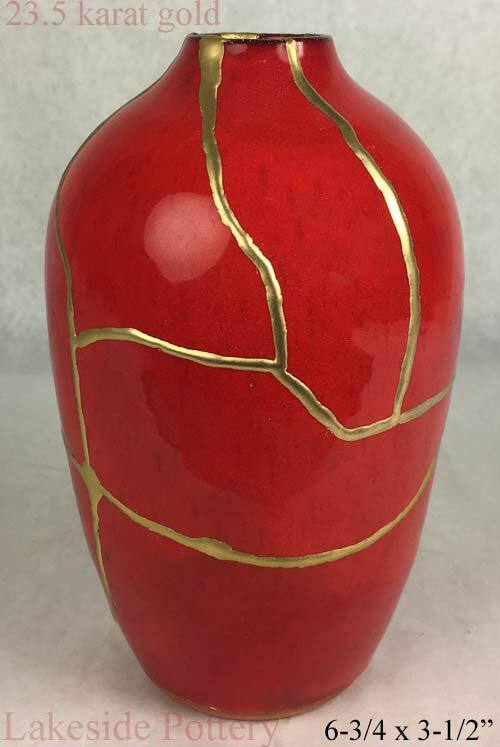 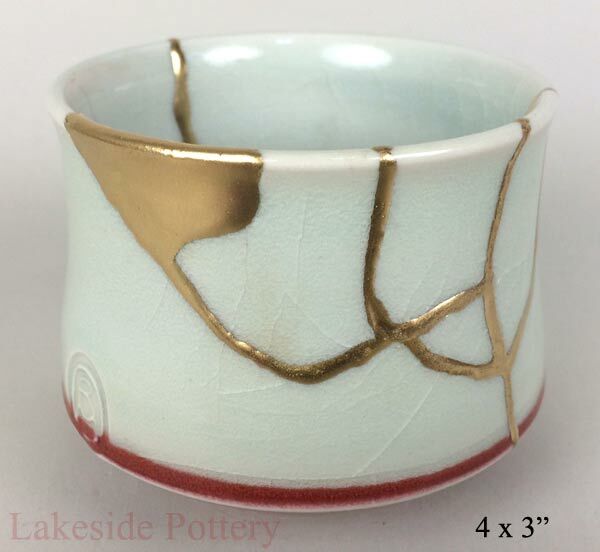 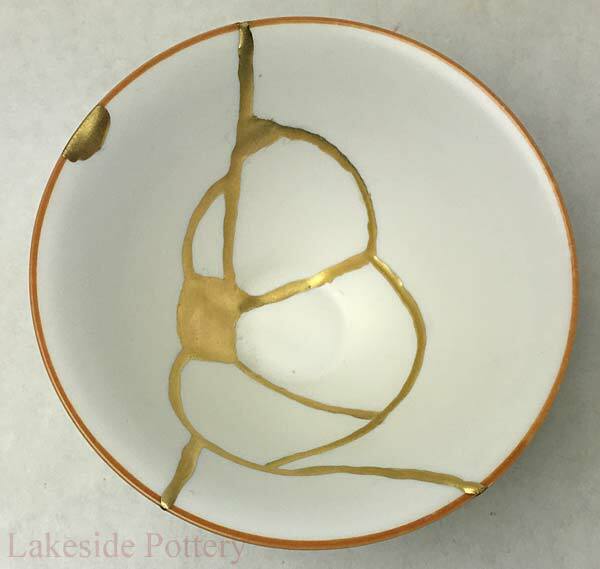 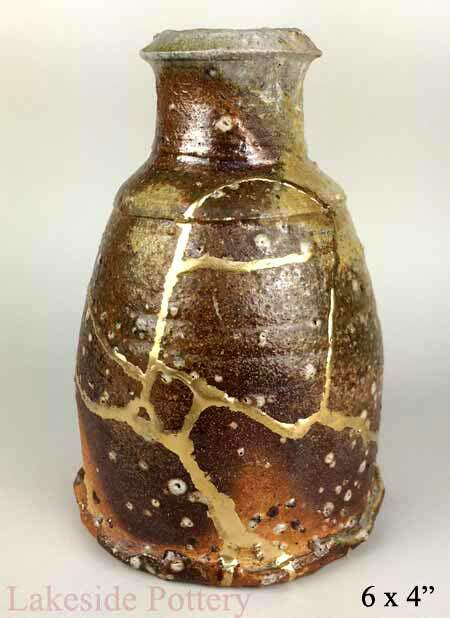 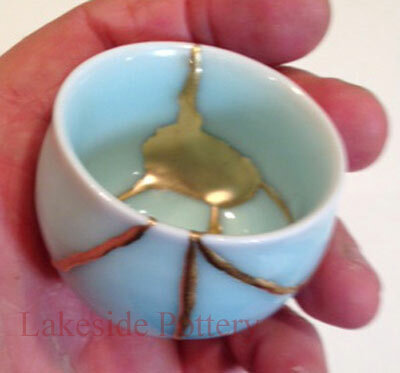 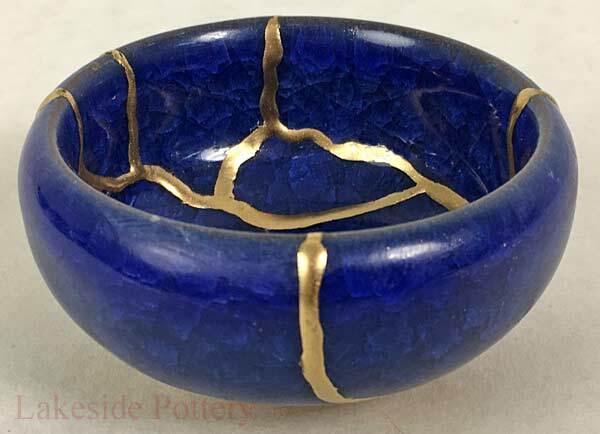 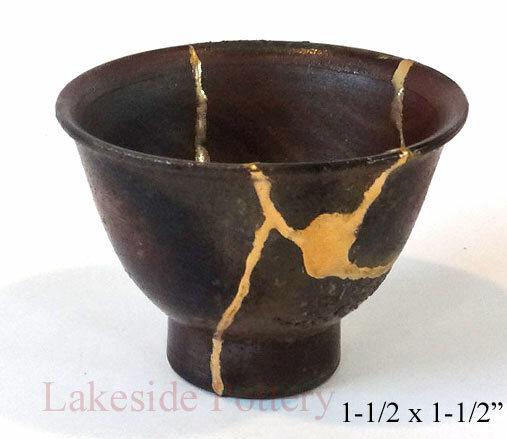 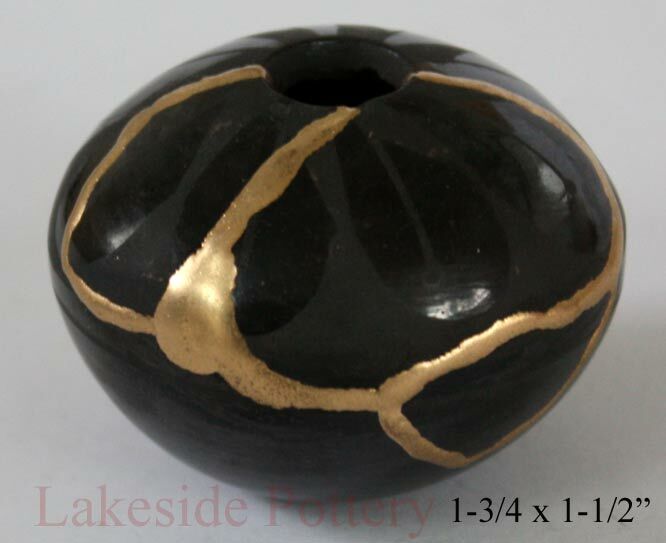 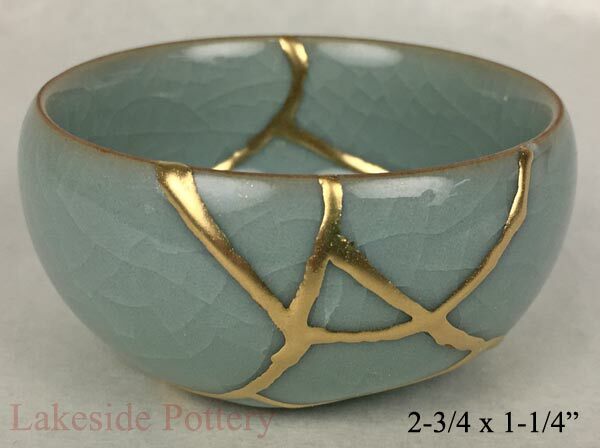 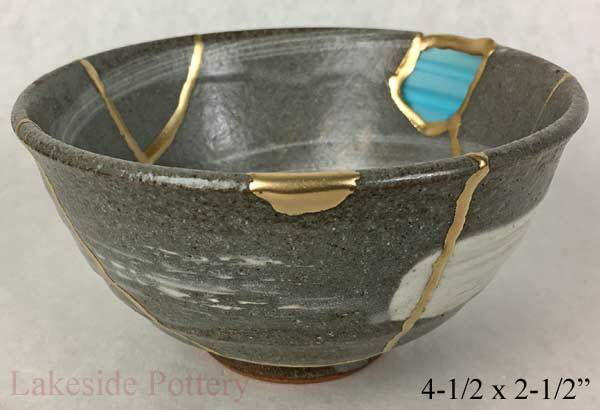 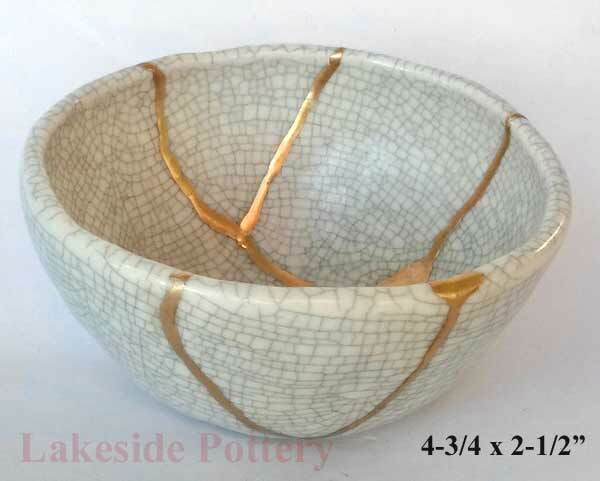 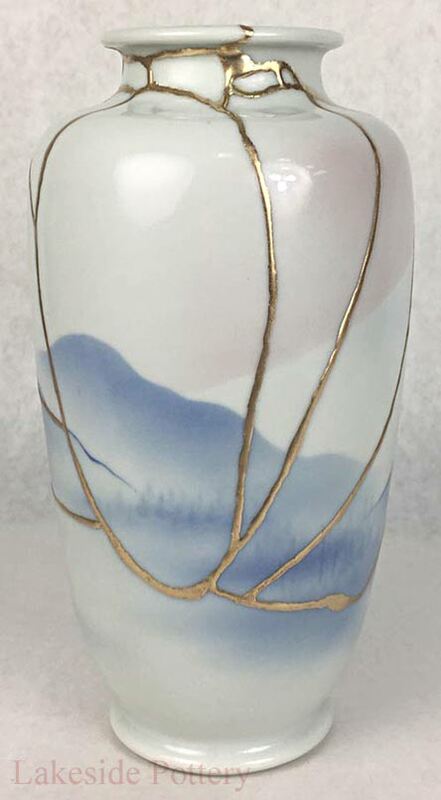 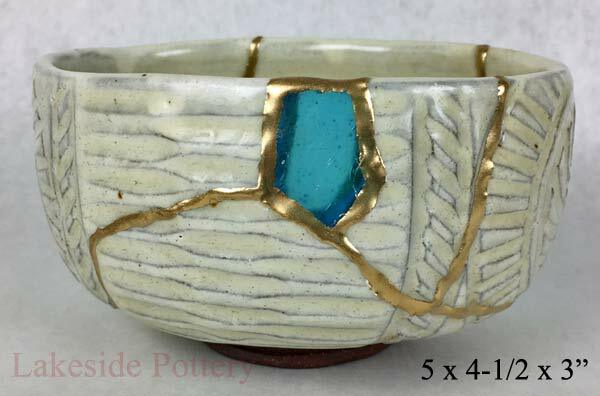 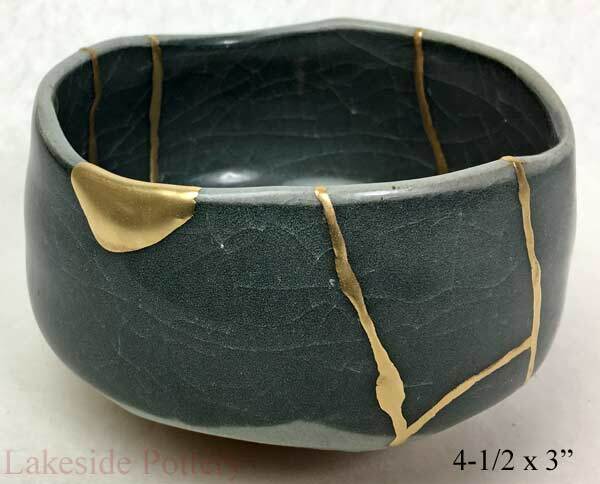 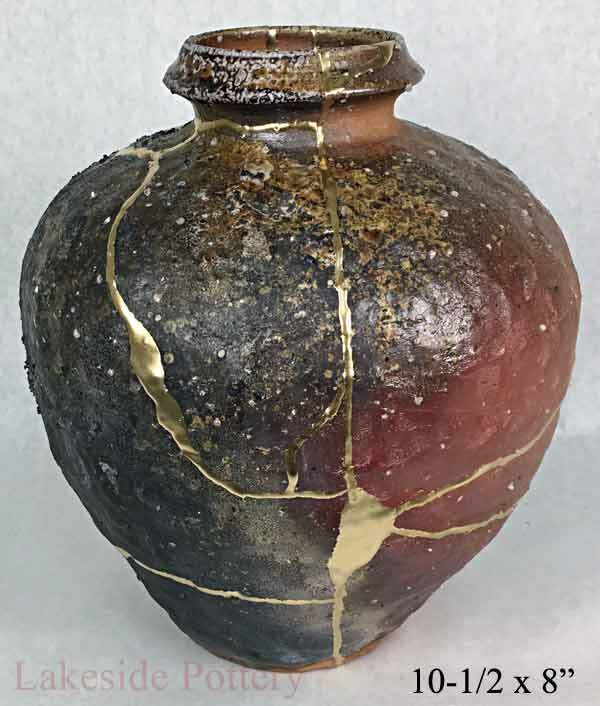 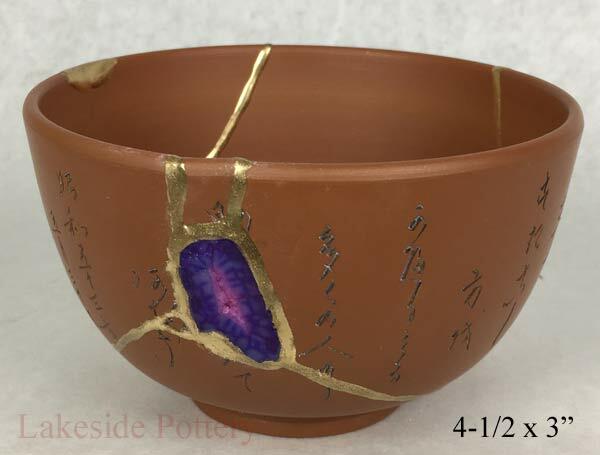 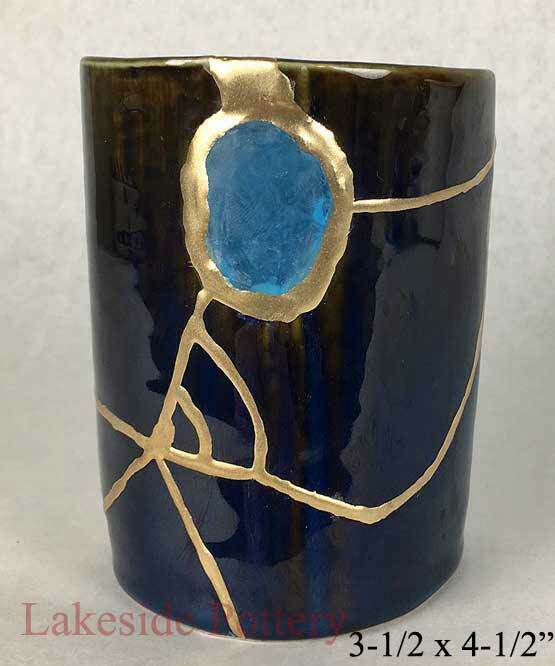 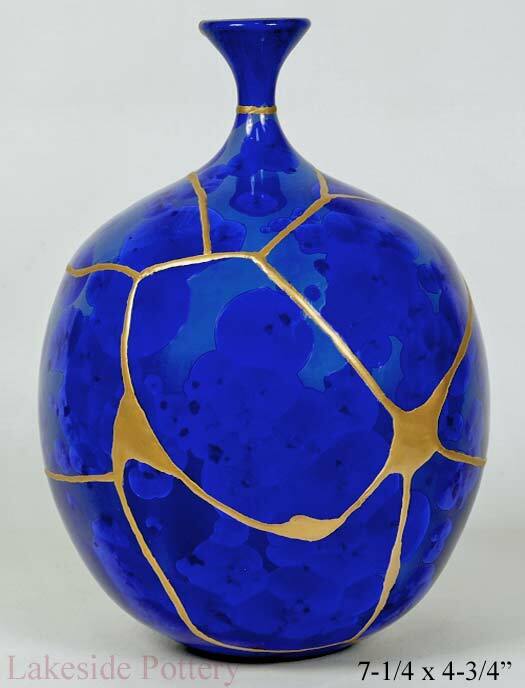 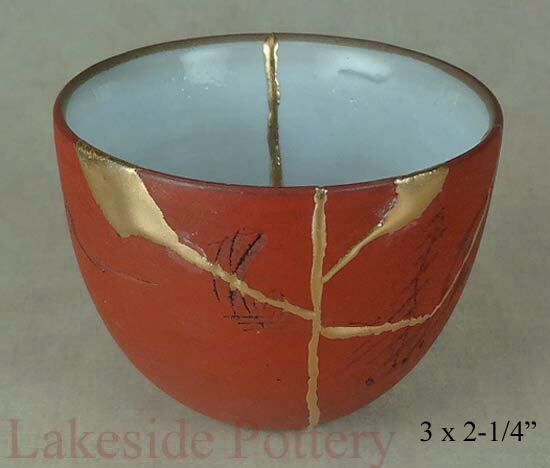 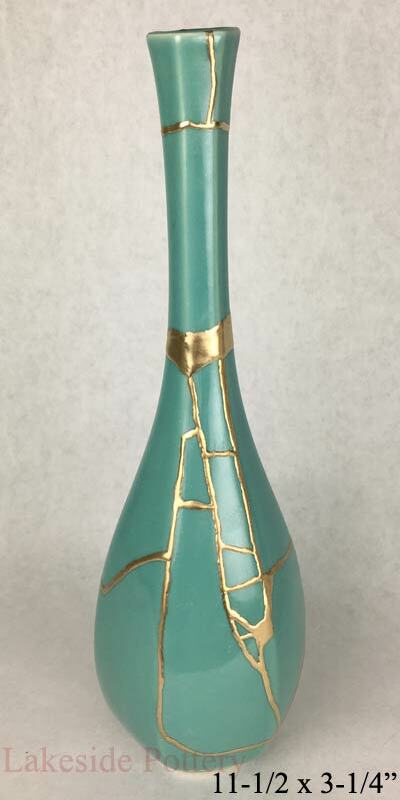 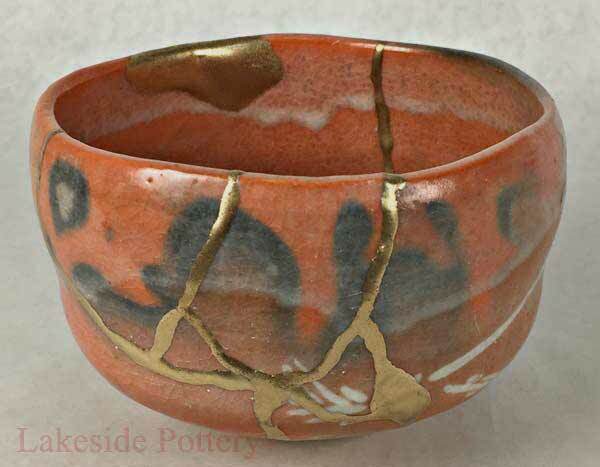 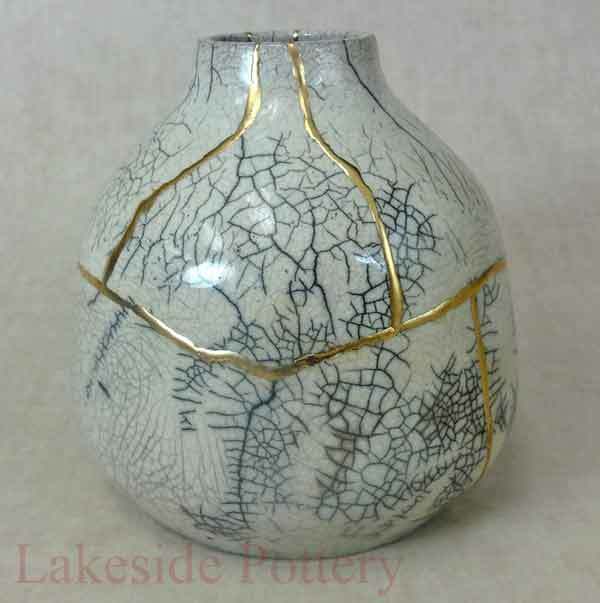 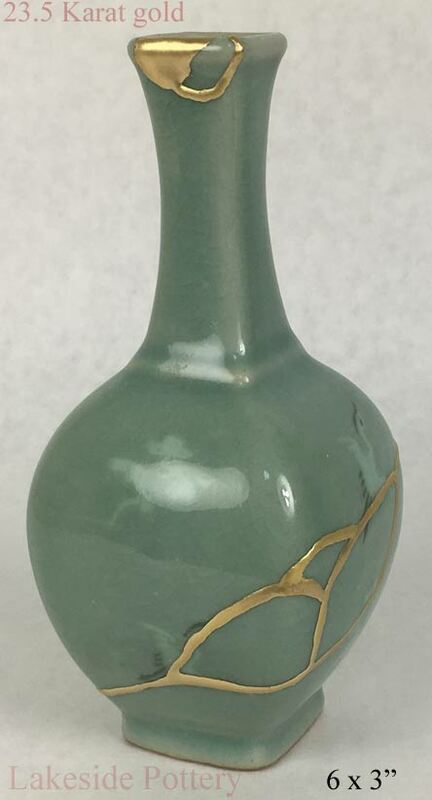 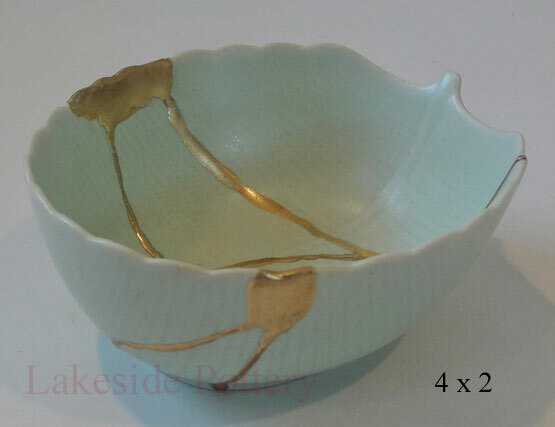 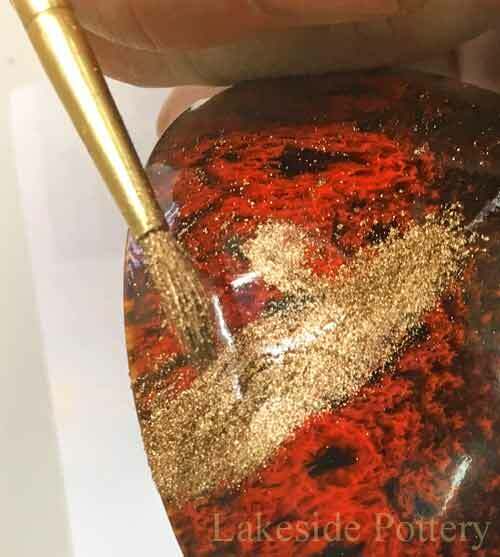 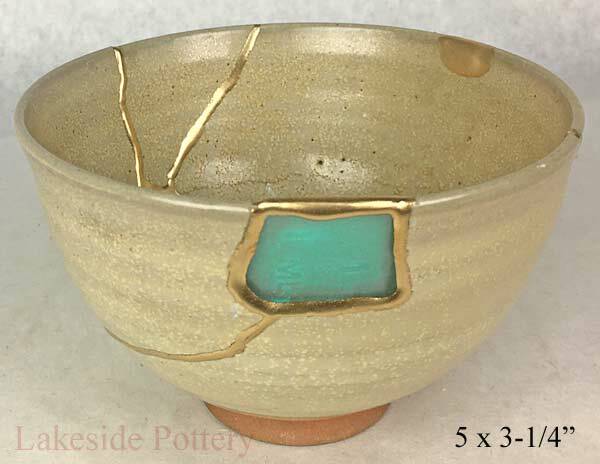 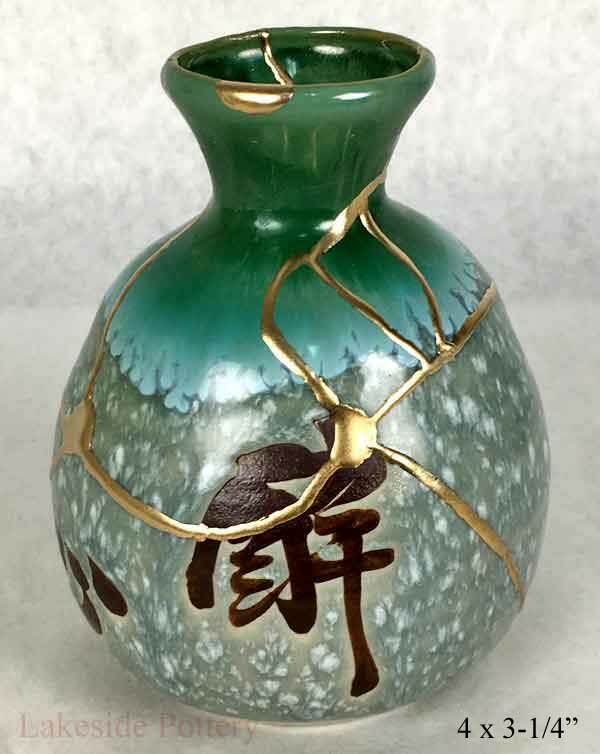 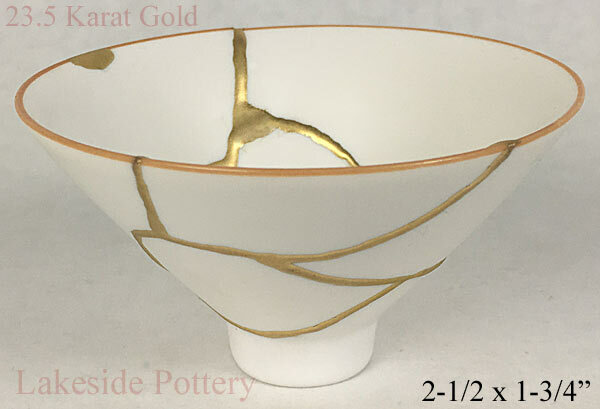 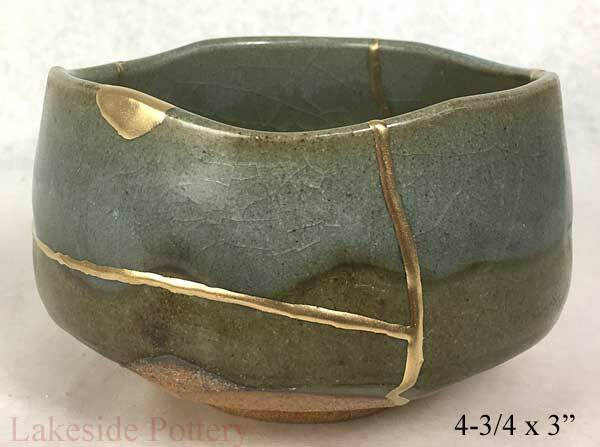 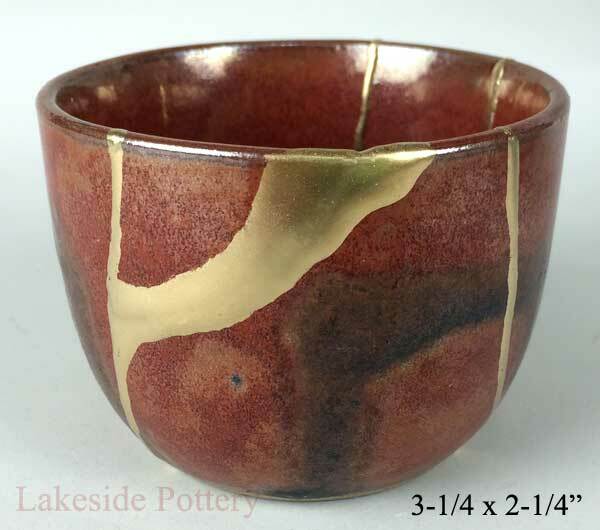 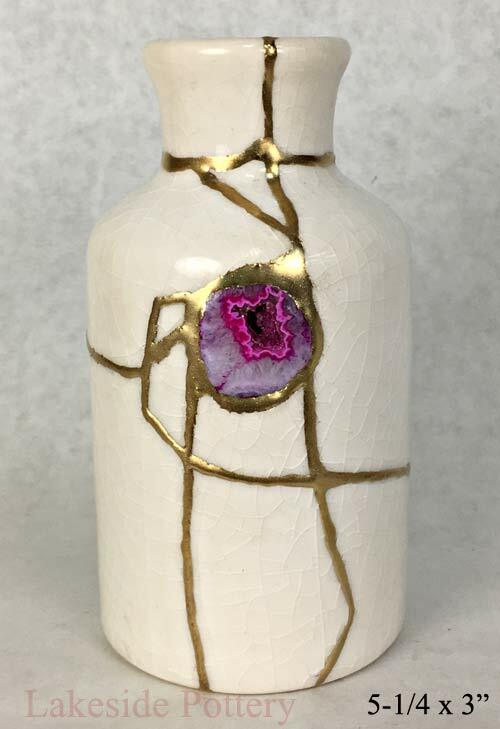 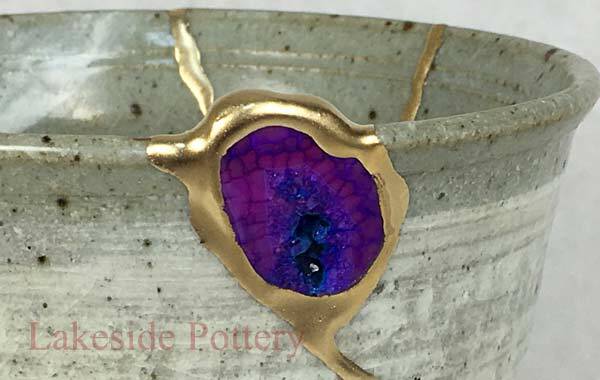 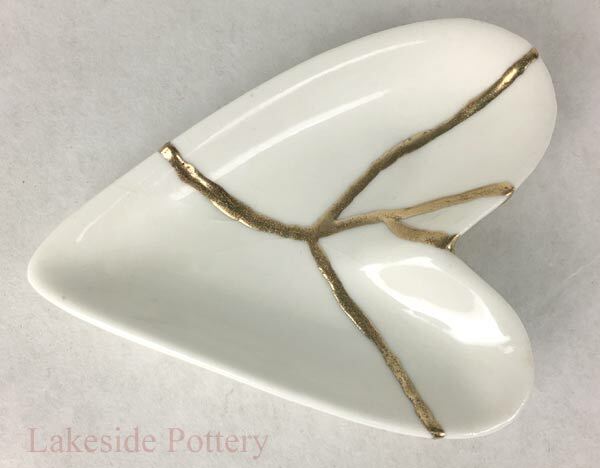 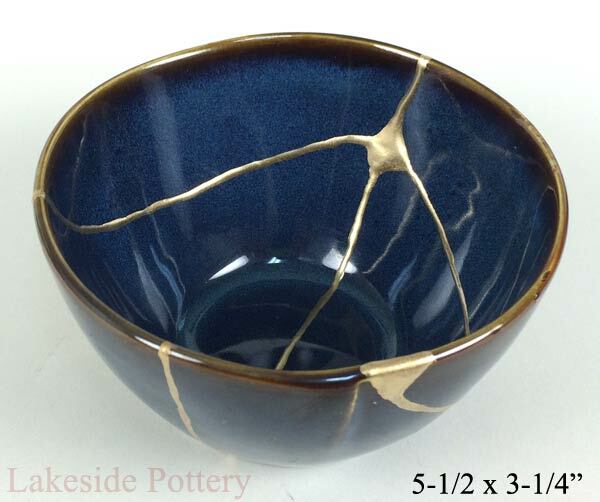 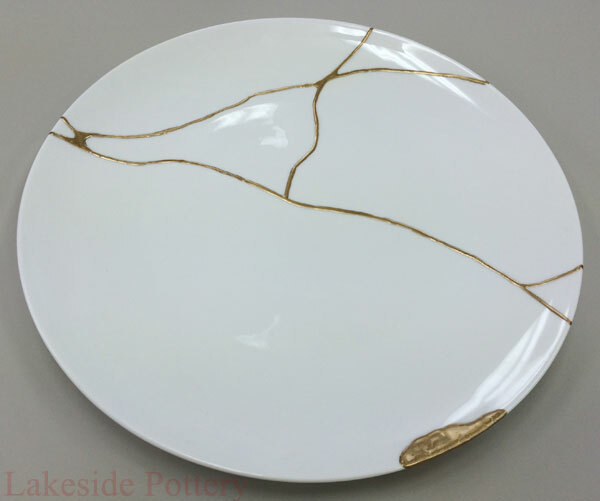 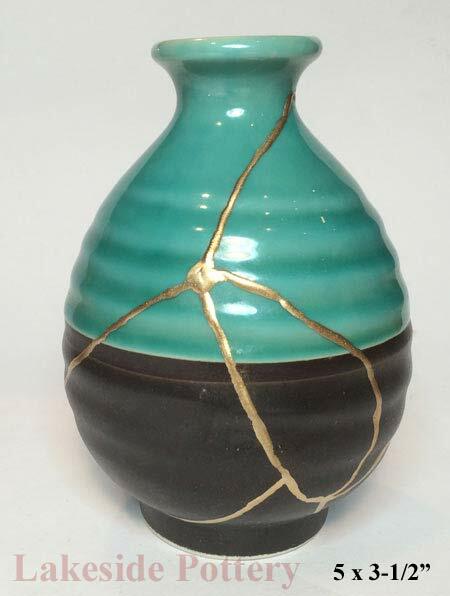 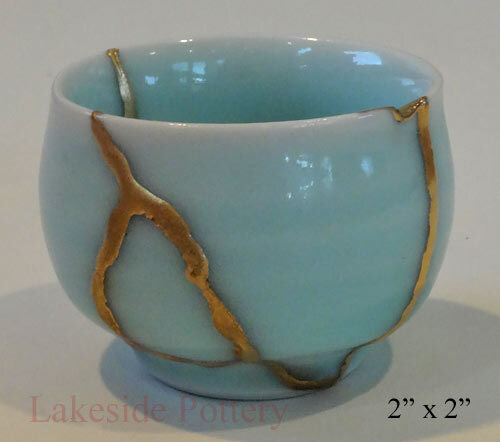 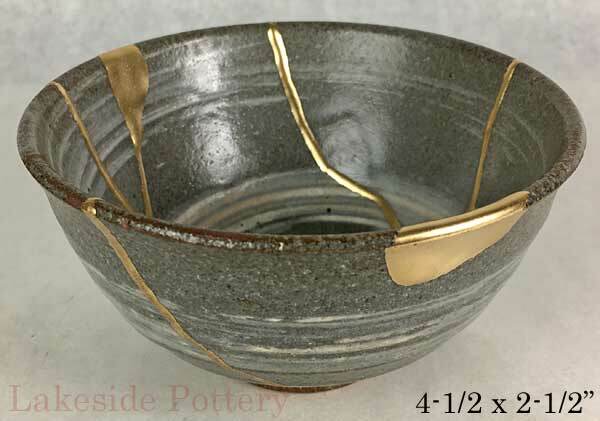 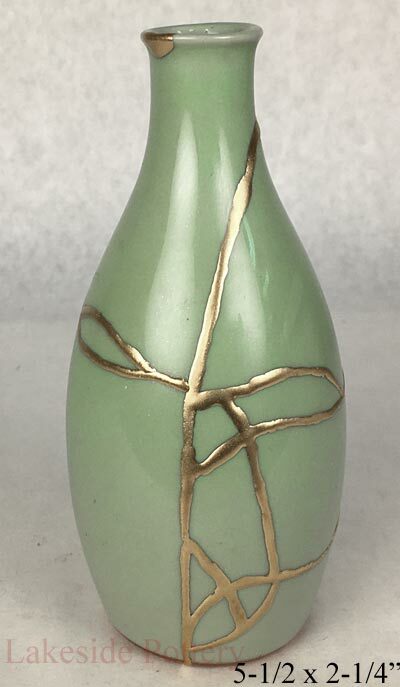 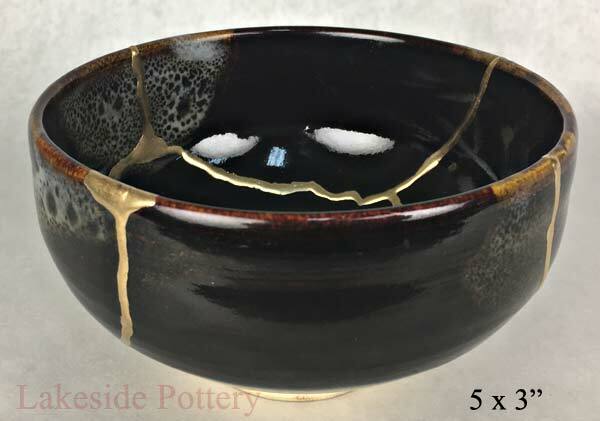 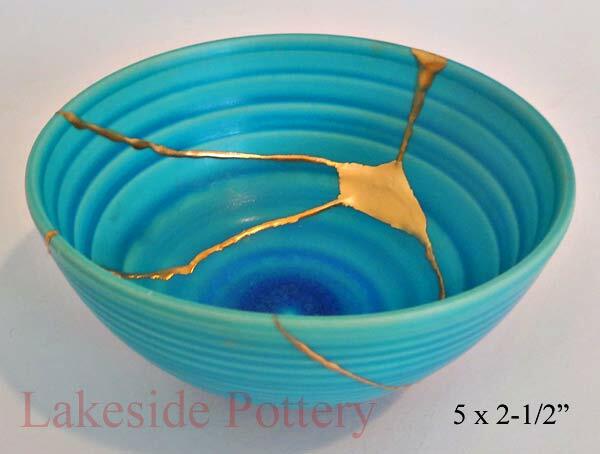 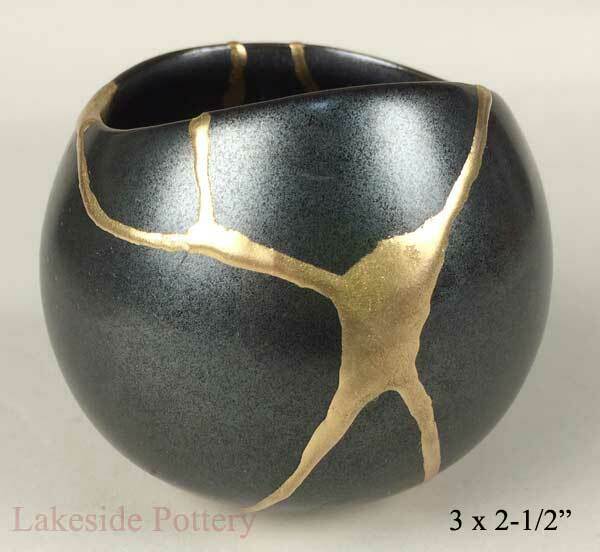 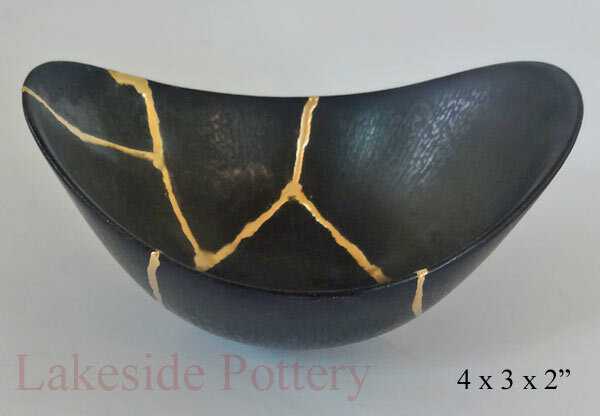 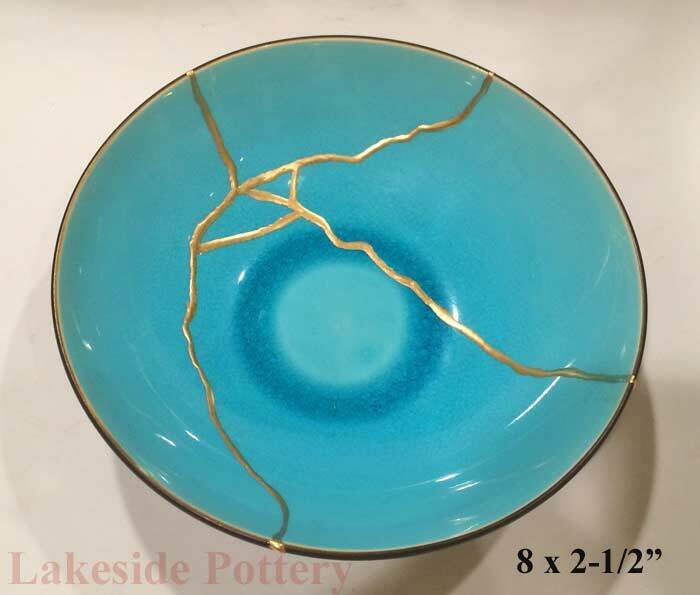 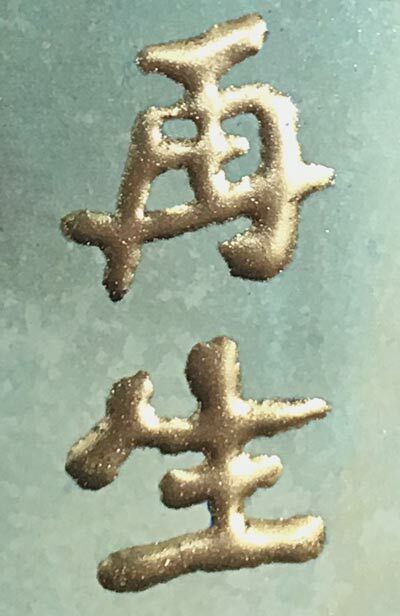 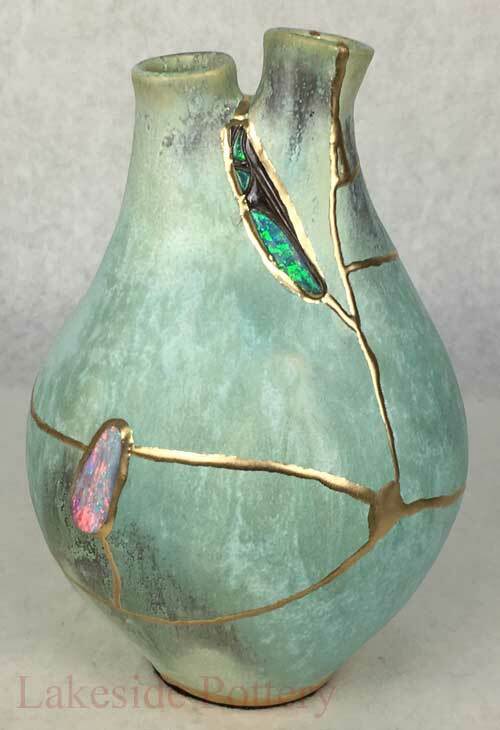 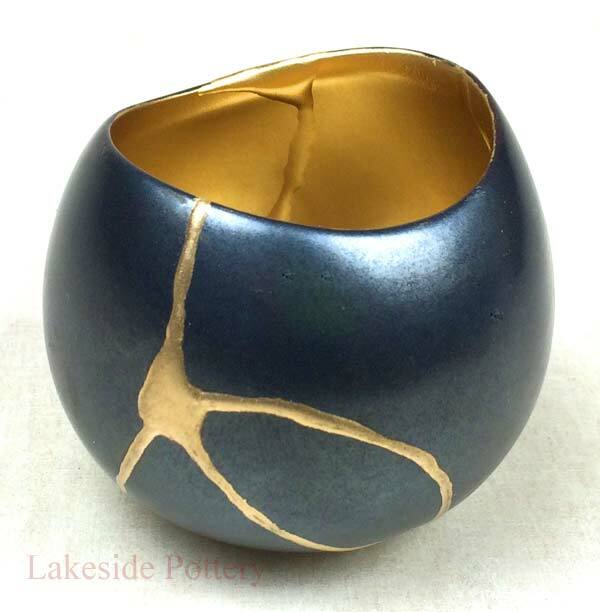 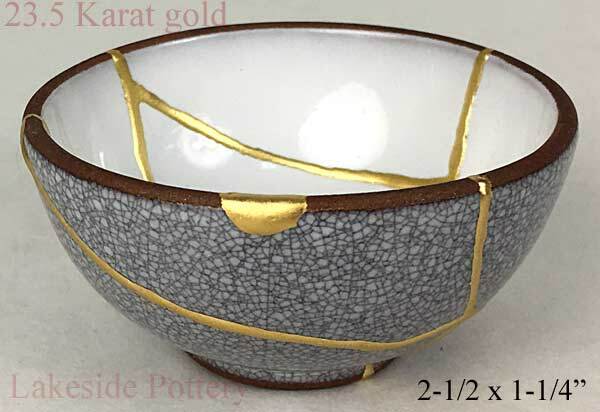 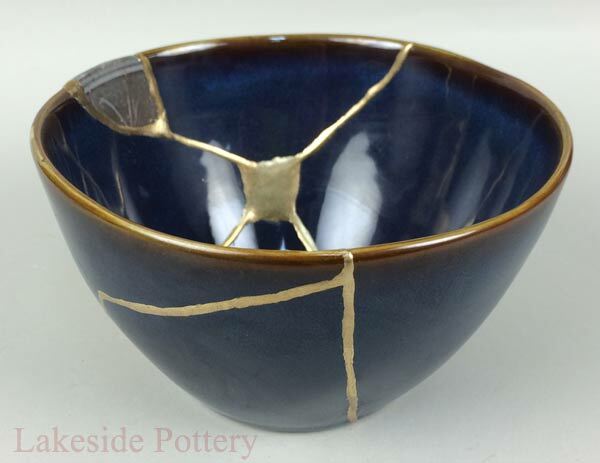 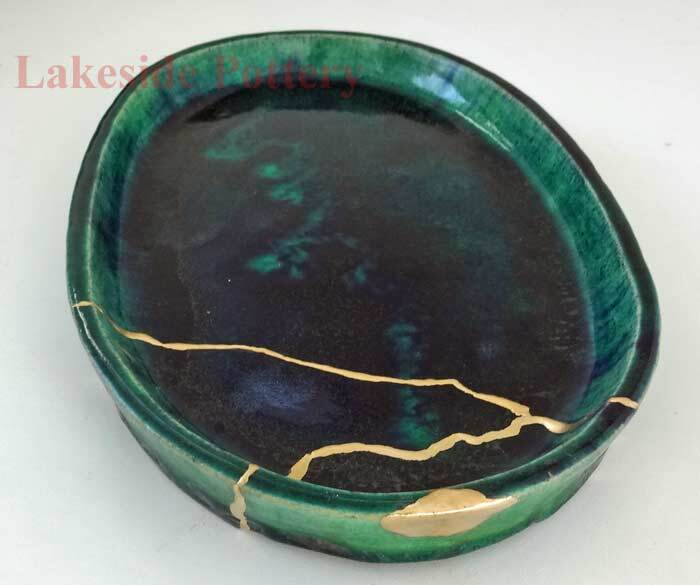 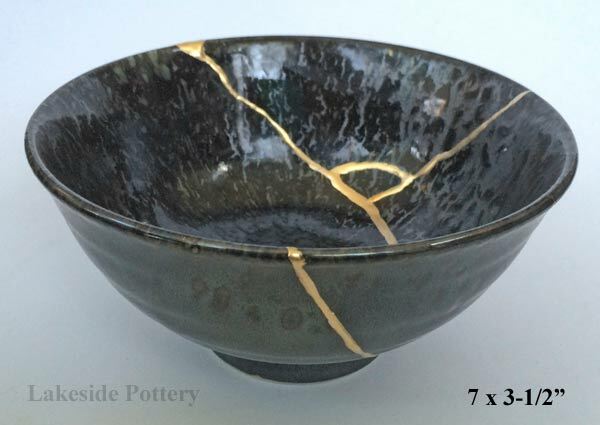 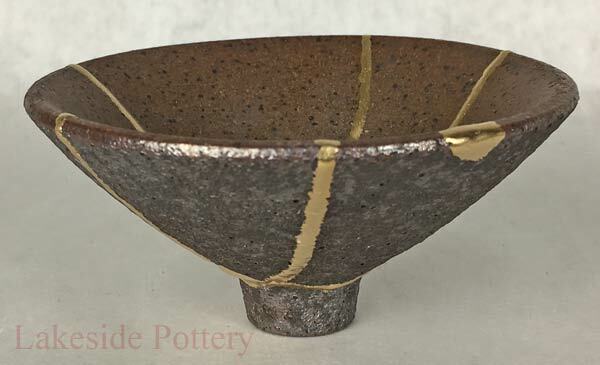 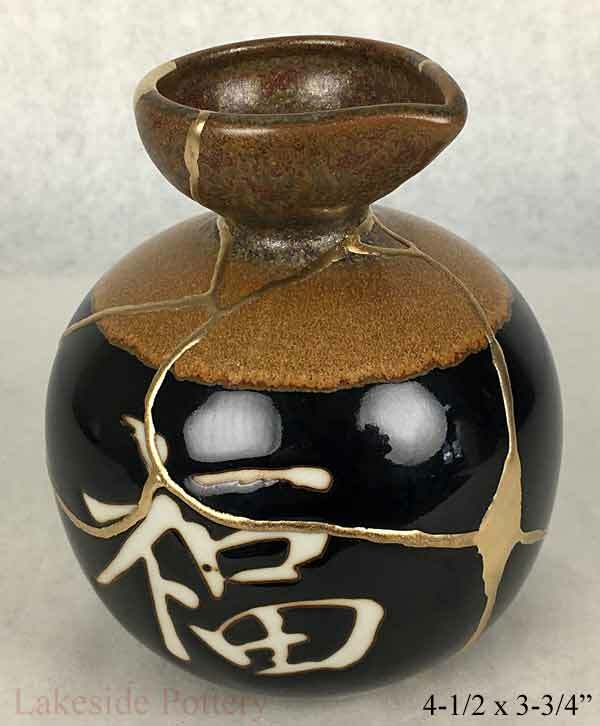 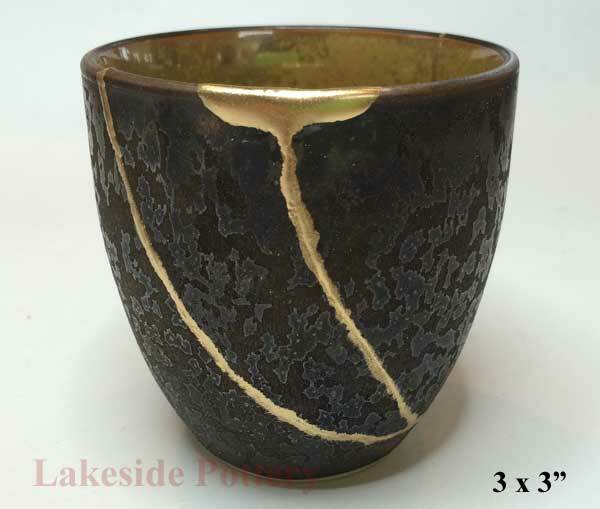 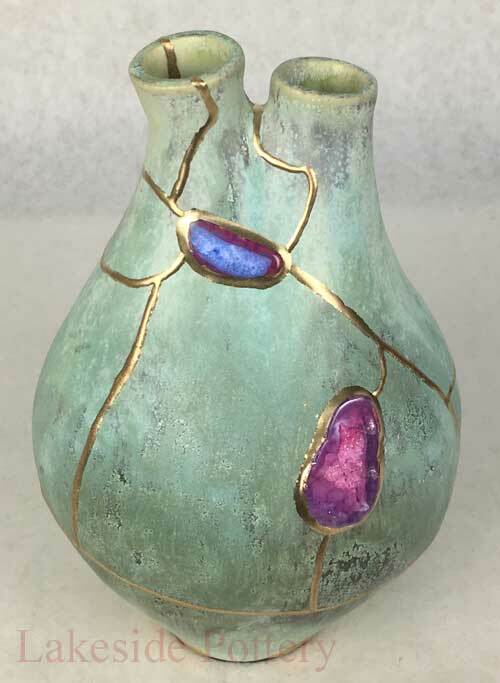 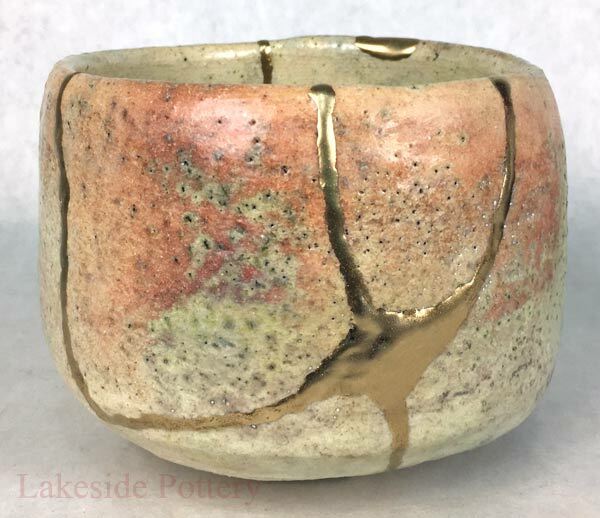 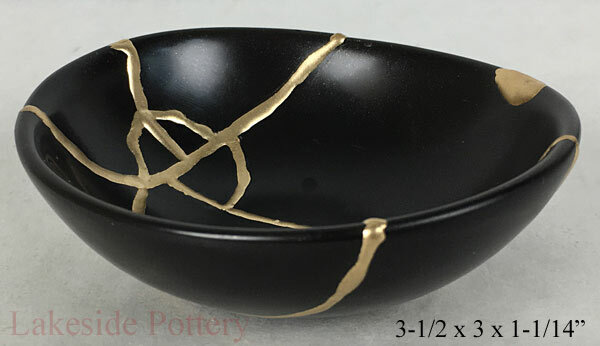 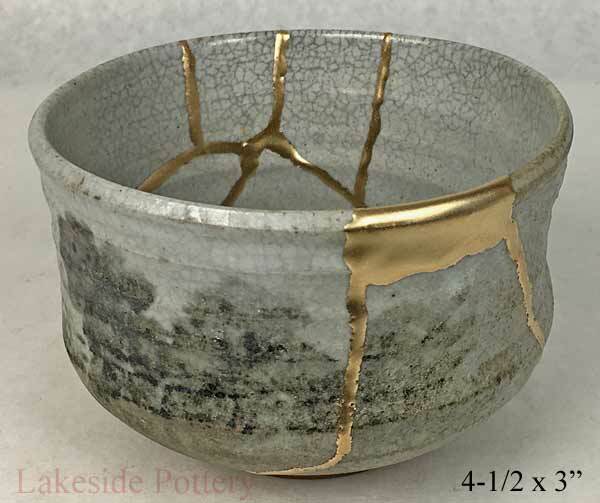 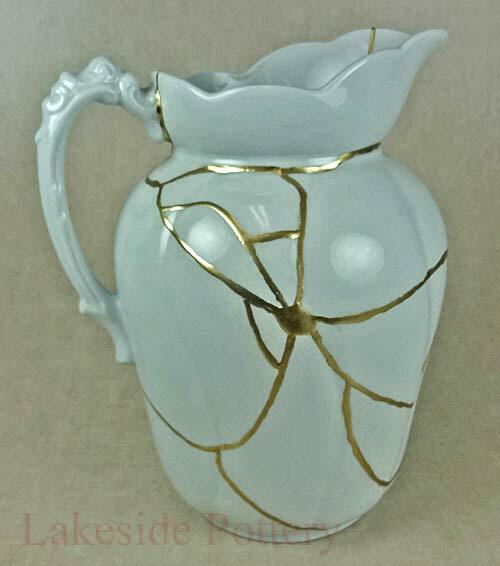 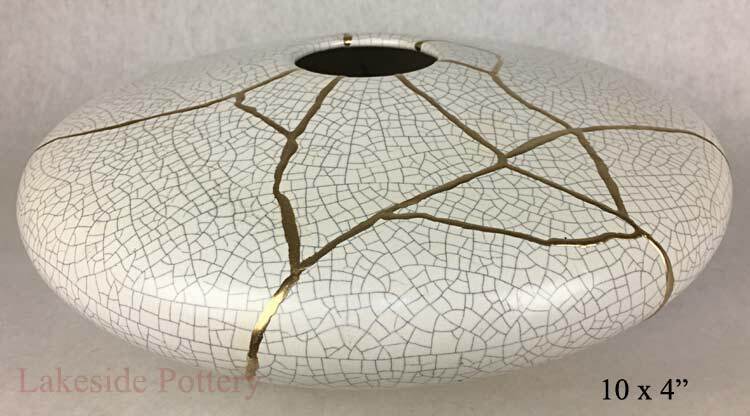 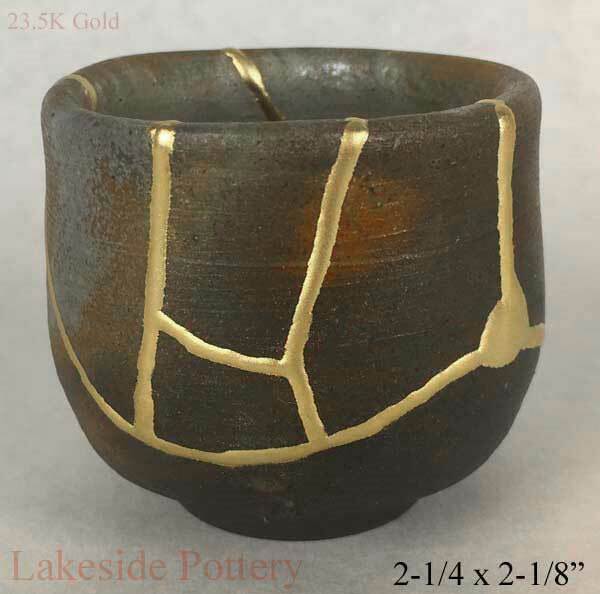 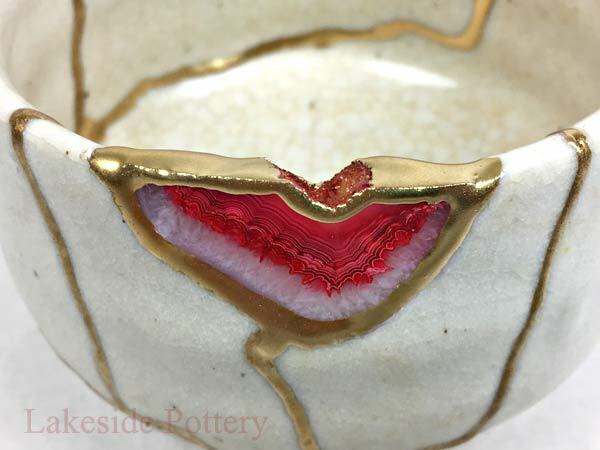 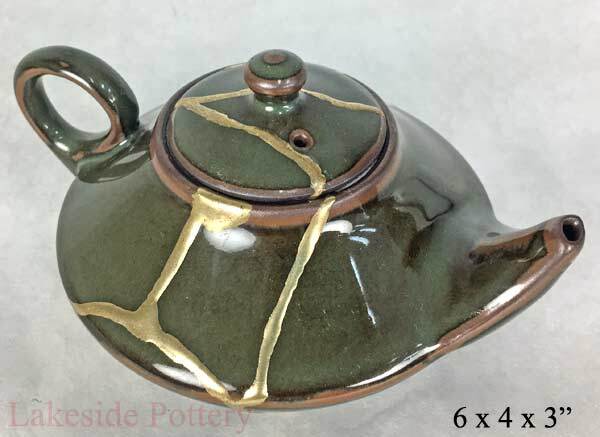 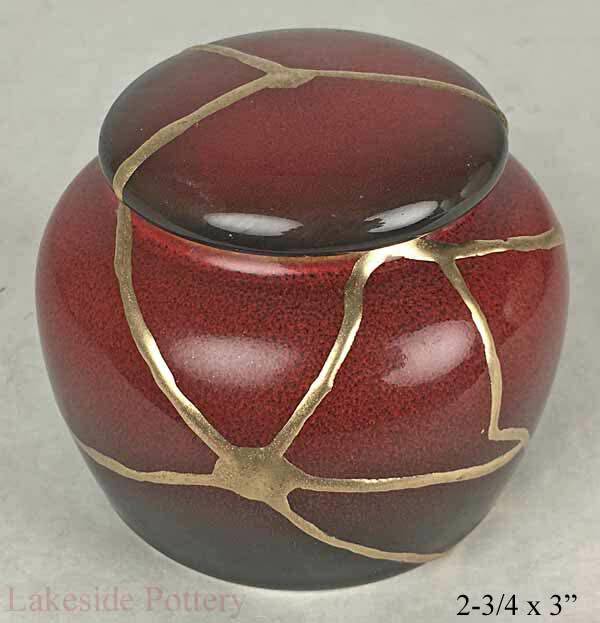 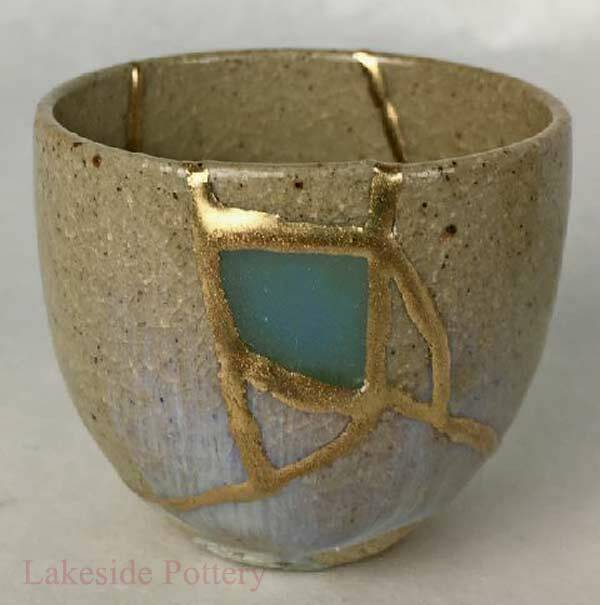 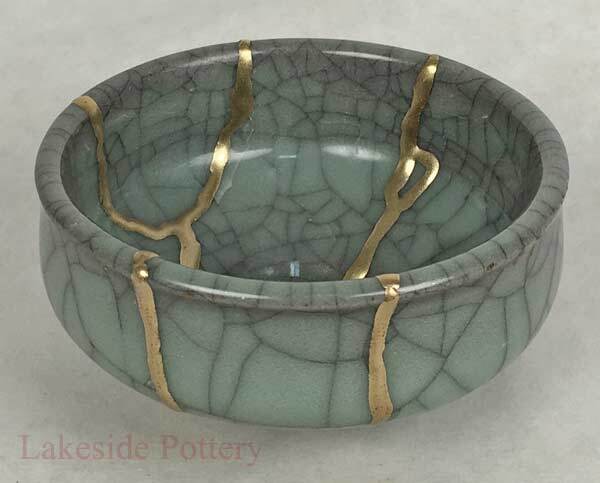 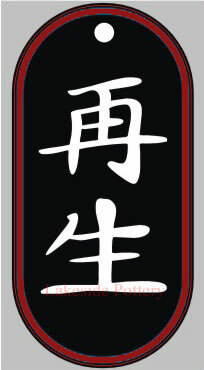 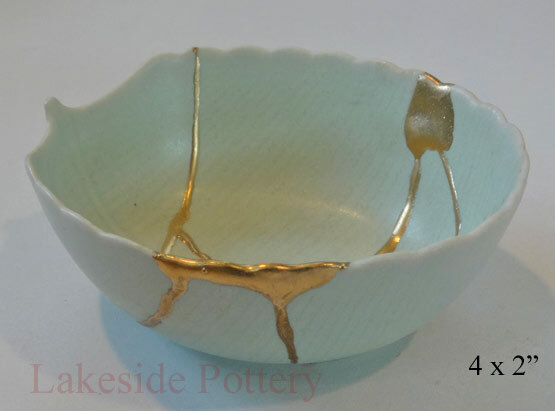 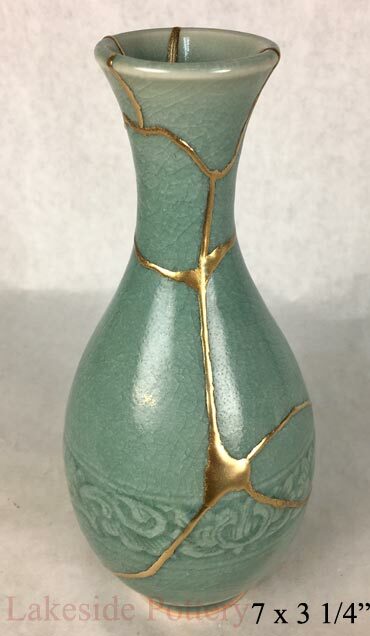 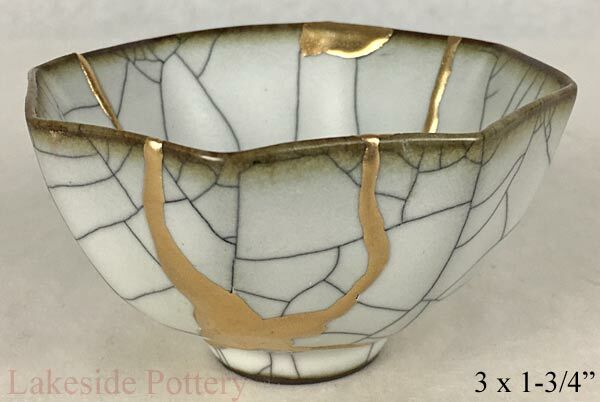 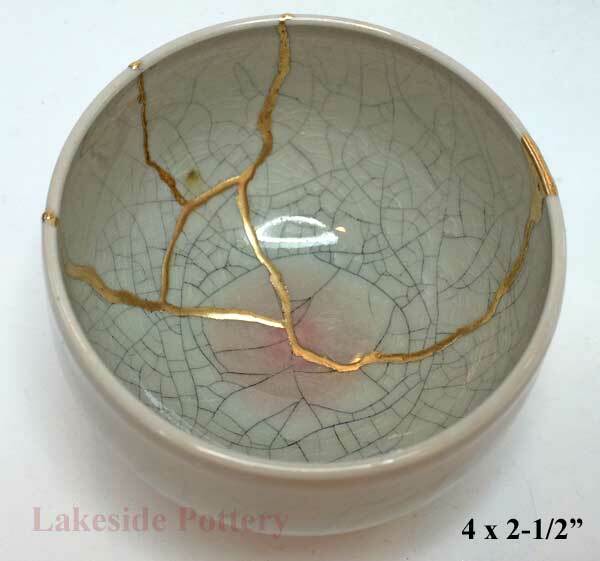 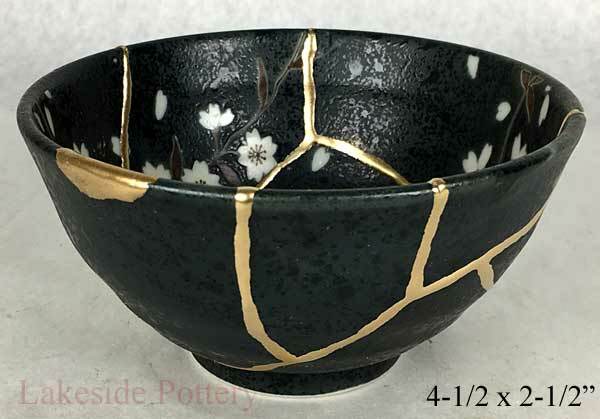 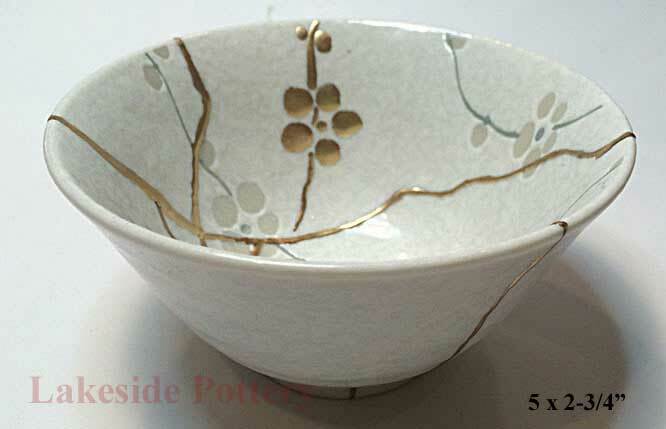 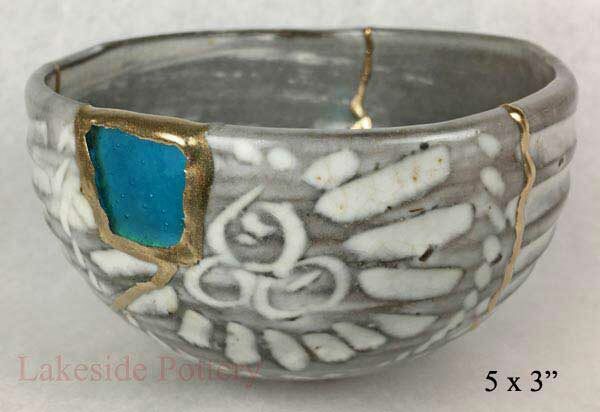 Kintsugi gold repair is a possible alternative keeping the broken pottery that enhances the breaks adding value while keeping the essence of its beauty. 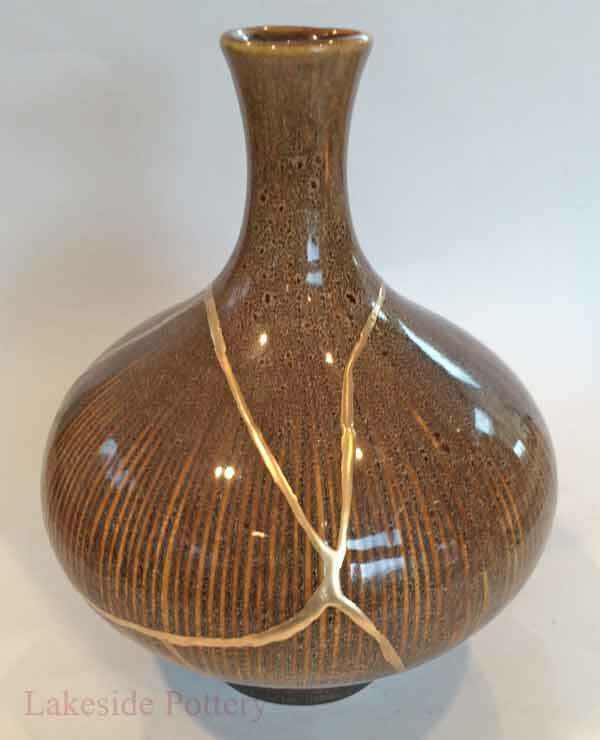 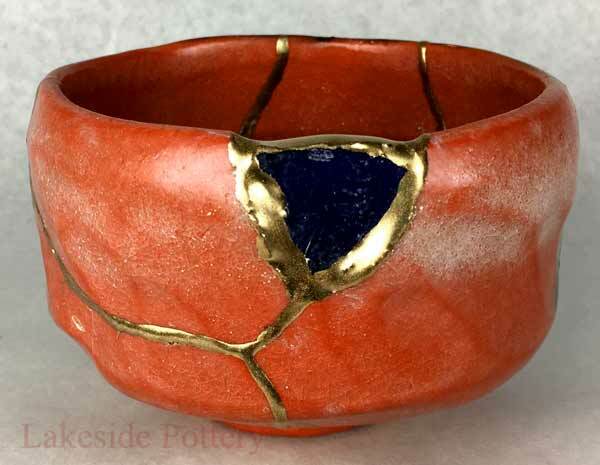 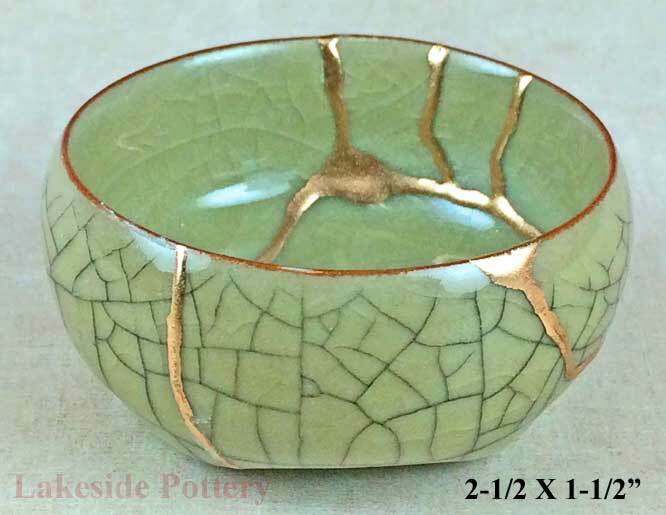 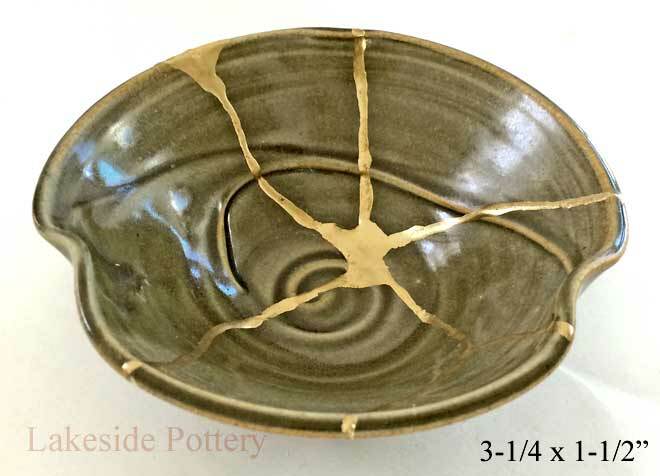 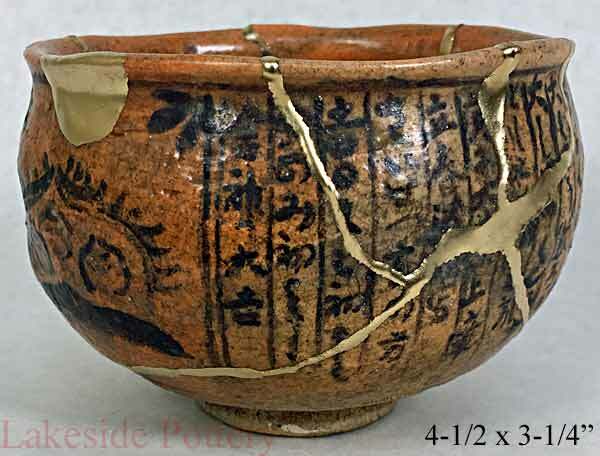 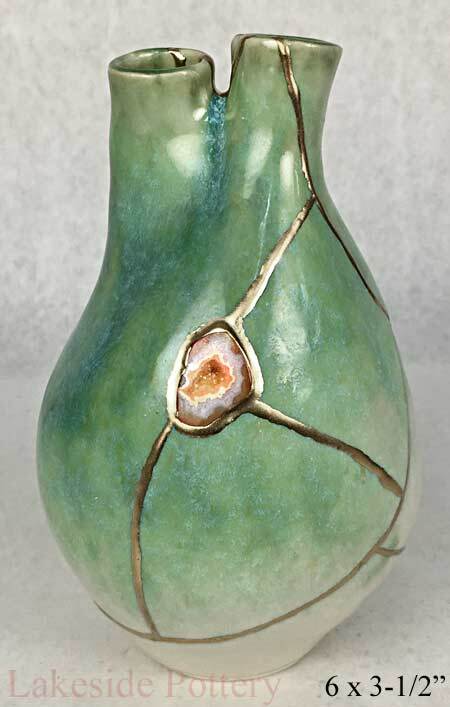 The Kintsugi repaired pottery not only survives, it thrives. 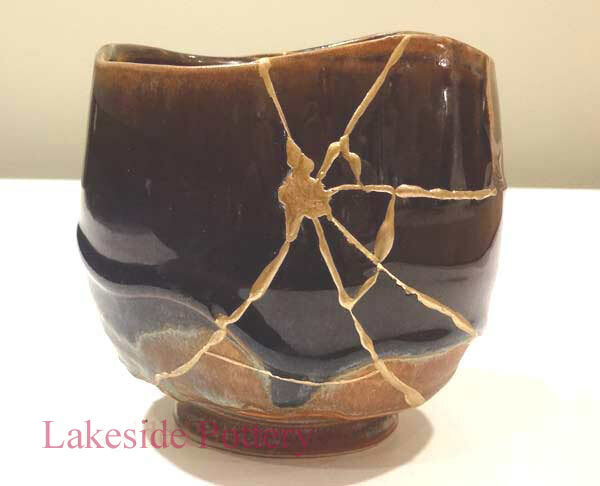 This method and process can become a meaningful metaphor of transformation which is not just about putting the pieces of one's broken pot back together, it is about reinvention of self in which our shattered pottery pieces are transformed into a beautiful, thriving masterpiece. 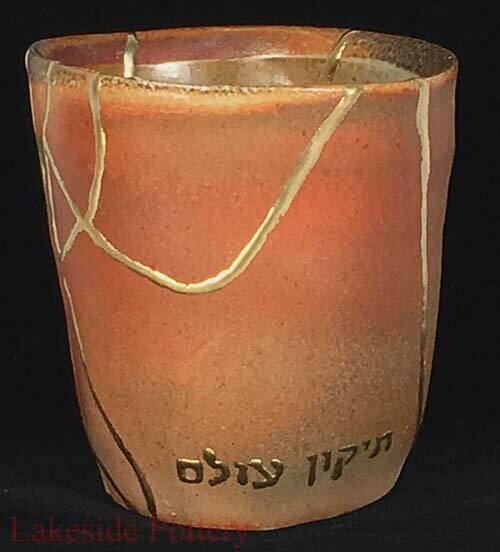 Wood fired cup with "Tikkun Olam"